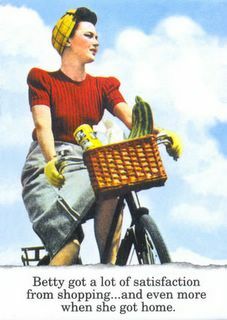 A tale about a woman and the adventures she has with her road bike. see, this is why Sherry isn't allowed to buy veggies longer than 4-inches... anything longer than that intimidated me. I love hair dye, Michelob Ultra, road bike revelry...and of course, the jet boys!